These organic cloth wipes are chemical free for the health of your baby and reusable for the health of the planet. 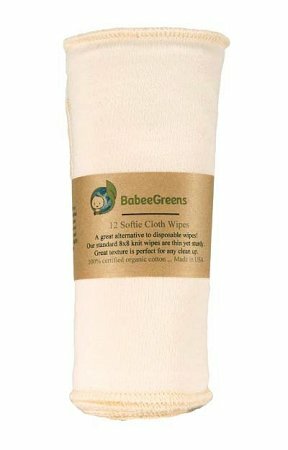 Our organic Softie wipe is 9"x9" and made from one layer of organic cotton fleece knit. Thin yet durable, this simple wipe has great texture that is perfect for any clean up. A great organic alternative to disposable wipes! Wipes can vary slightly in size, as we strive for minimal waste.